Researchers at Washington University School of Medicine in St. Louis have identified a way to prevent fat cells from growing larger, a process that leads to weight gain and obesity. By activating a pathway in fat cells in mice, the researchers found they could feed the animals a high-fat diet without making them obese. The study is published online Dec. 5 in the journal eLife. "This could lead us to a new therapeutic target for treating obesity," said senior investigator Fanxin Long, PhD, a professor of orthopedic surgery. "What's particularly important is that the animals in our study ate a high-fat diet but didn't gain weight, and in people, too much fat in the diet is a common cause of obesity." Long's research focused on the so-called Hedgehog protein pathway that is active in many tissues in the body. His team engineered mice with genes that activated the Hedgehog pathway in fat cells when those animals ate a high-fat diet. After eight weeks of eating the high-fat diet, control animals whose Hedgehog pathways had not been activated became obese. But the mice that had been engineered with genes to activate the pathway didn't gain any more weight than did control animals that consumed normal diets. The Hedgehog pathway prevented obesity by inhibiting the size of the fat cells, Long said. "Fat gain is due mainly to increased fat cell size," he explained. "Each fat cell grows bigger so that it can hold larger fat droplets. We gain weight mainly because fat cells get bigger, as opposed to having more fat cells." By stimulating Hedgehog and related proteins in fat cells, Long's team kept the animals' fat cells from collecting and storing fat droplets. "More importantly, when we did metabolic studies, we found that the animals with the active Hedgehog pathway not only were leaner, they also had lower blood-glucose levels and were more sensitive to insulin," he said. Translating the findings to humans could be tricky, he said, and any drugs that activate the Hedgehog pathway would need to be carefully targeted to avoid potential side effects. Certain cancers have been linked to too much Hedgehog activity, for example. 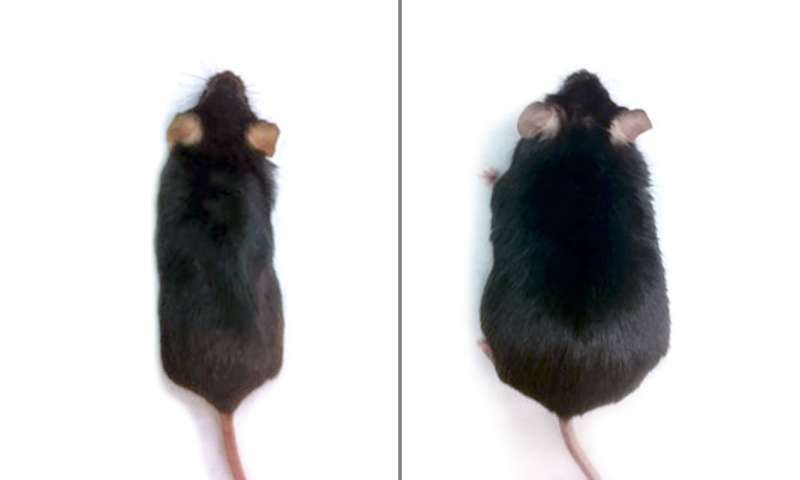 But because the pathway is believed to work in similar ways in humans and mice, it might be possible to target the pathway to the fat tissue as a treatment for obesity, Long said. "If we can come up with strategies to carefully target fat cells, then I think activating this pathway could be effective in the fight against obesity," he said. More than one-third of the adult population in the United States is obese, and the estimated annual medical costs for obesity exceed $147 billion. People with obesity have an increased risk for stroke, heart attack, diabetes and cancer. Too much research and not enough getting something out to people in need. It seems to me that with breakthrough after breakthrough after breakthrough, SOMETHING would be out there helping people. I often wonder if researchers are just milking the clock , so to speak, to keep those research funds coming.